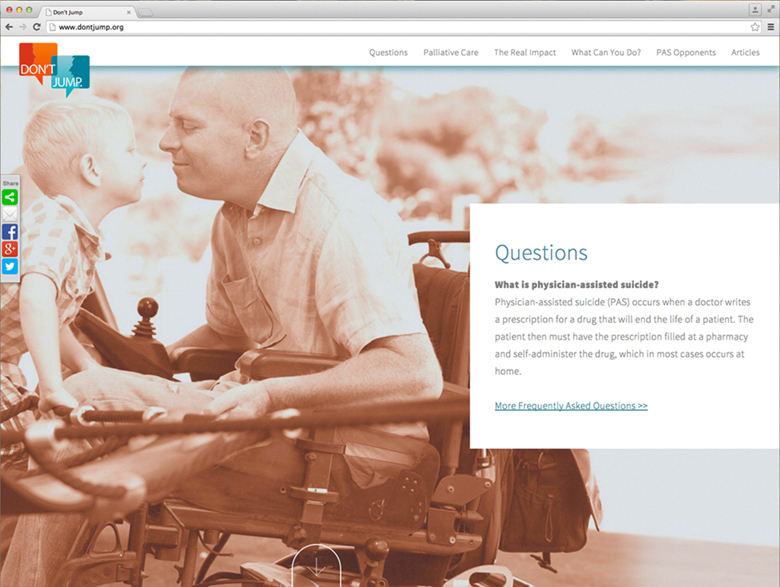 In 2015, national organizations in favor of physician-assisted suicide targeted Connecticut as a battleground state, ripe for new legislation legalizing the practice. Representing the Connecticut Catholic Conference and Knights of Columbus, Octagon set up a mighty defense with a simple message – the issue is too complex to rush to judgement. 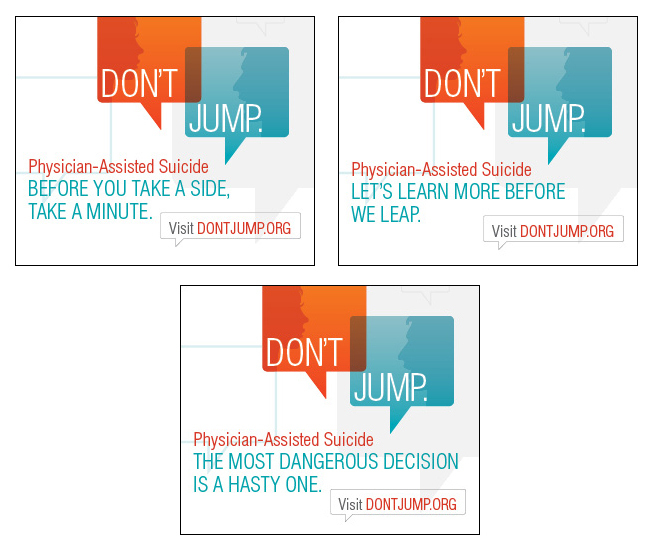 Rather than defend a side, the “Don't Jump” campaign presented an objective and secular argument. We urged lawmakers and constituents not to jump to conclusions without thoroughly studying the issue and the alternatives. With legislative deadlines fast approaching, the unique strategy proved effective. The legislature never even introduced the bill.